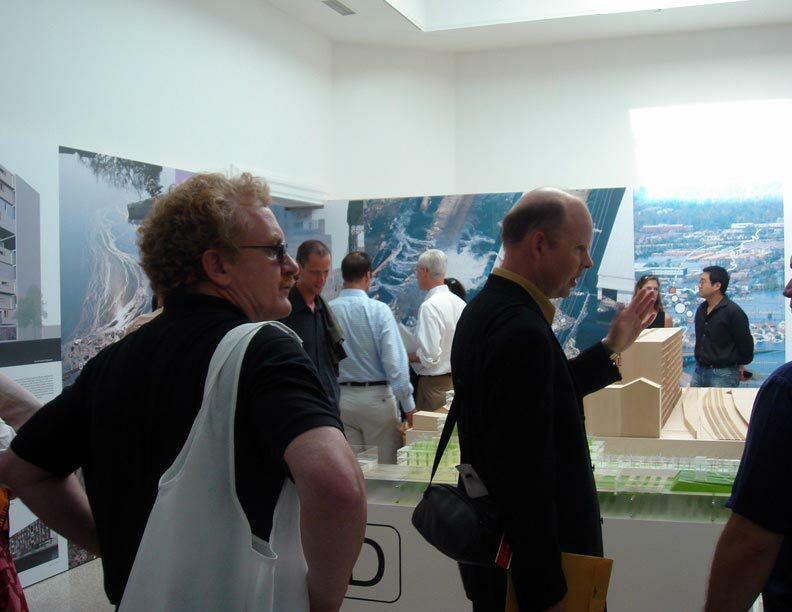 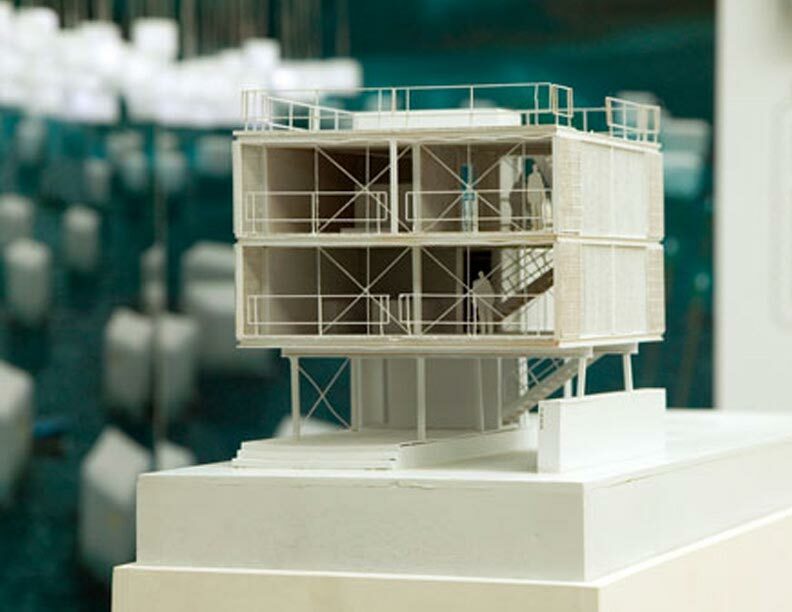 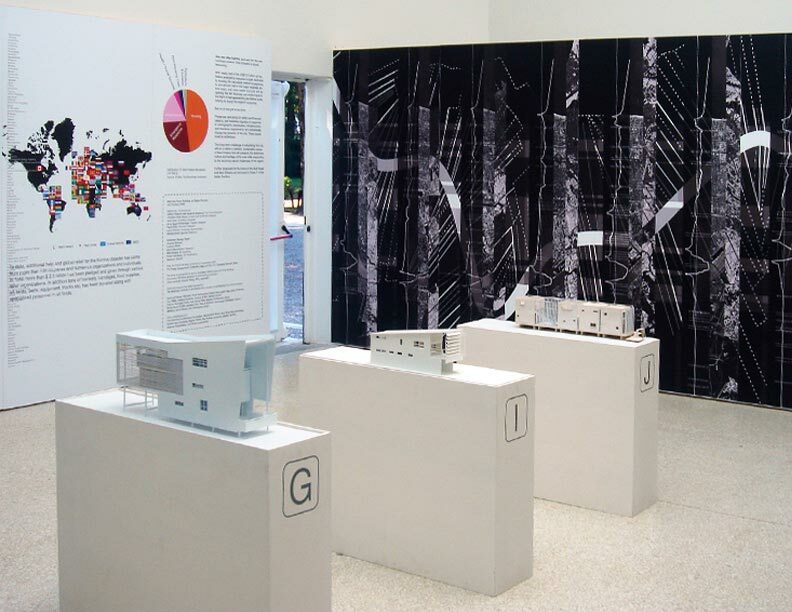 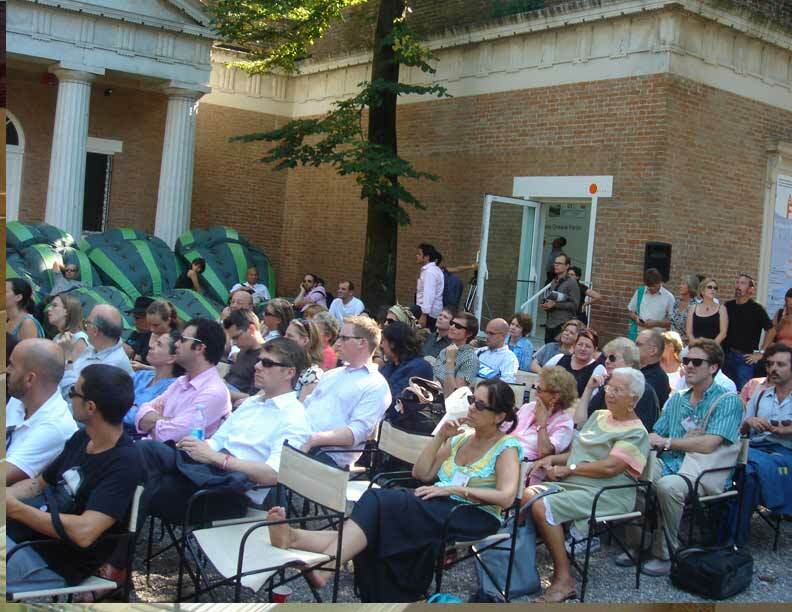 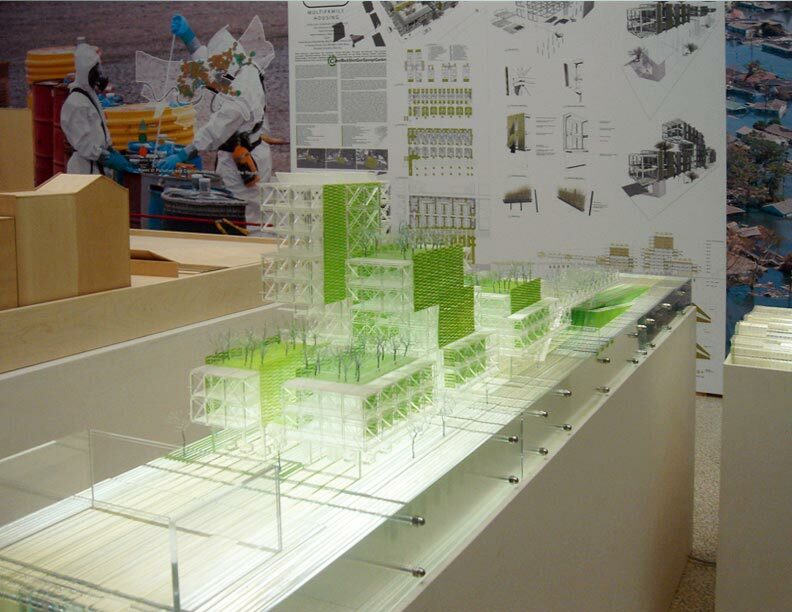 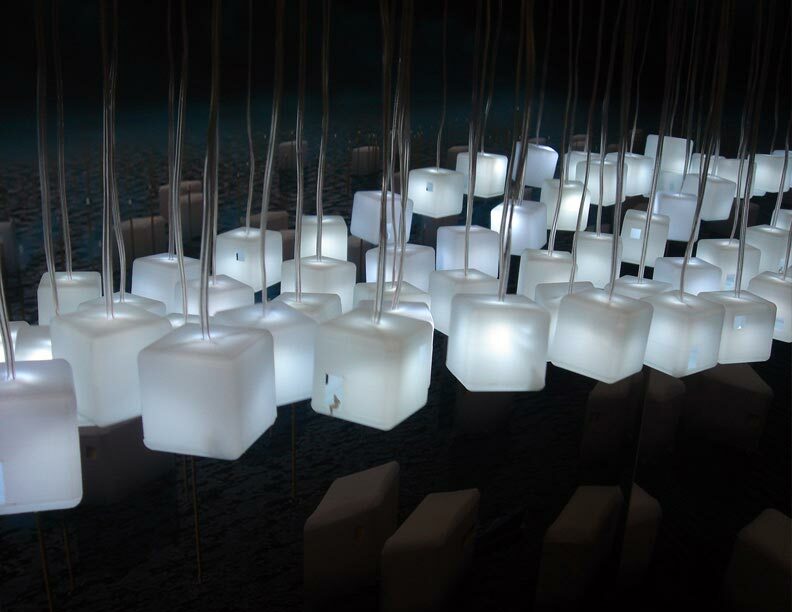 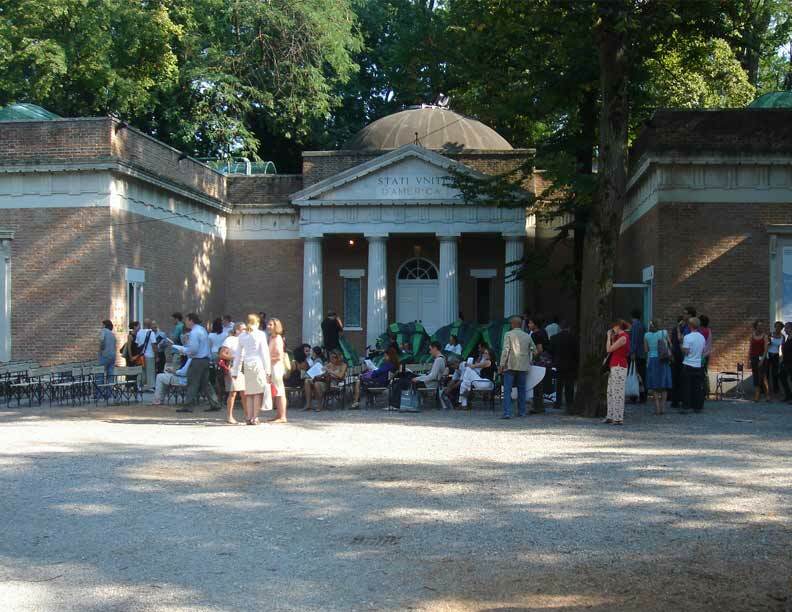 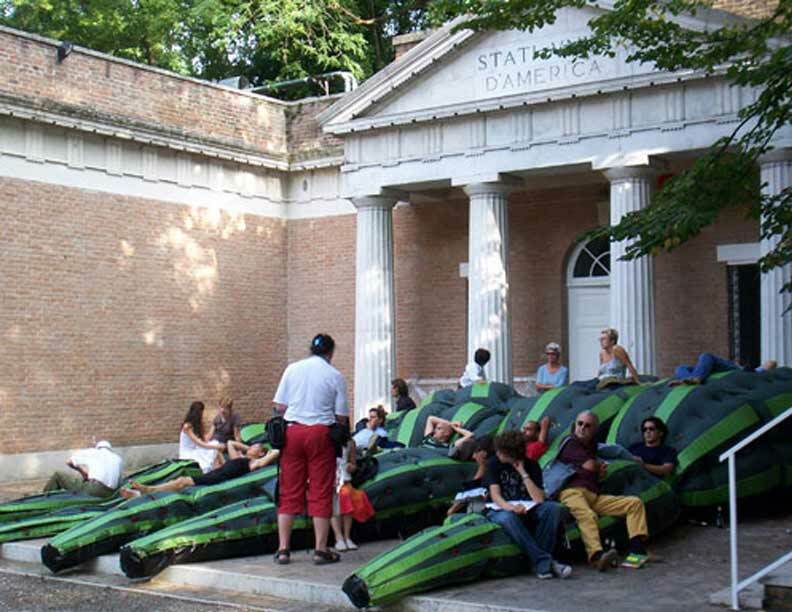 Location: 10th Annual Venice Architecture Biennale, American Pavilion. 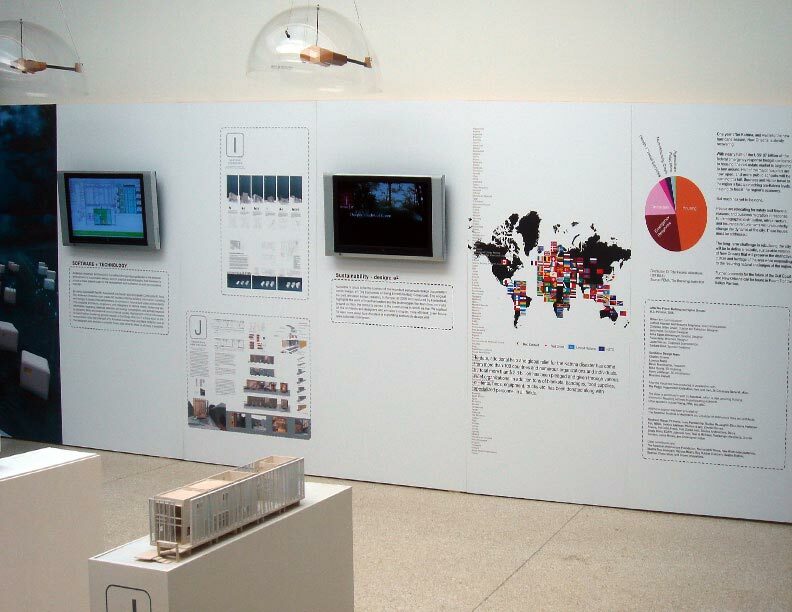 Program: Exhibition & Content Development. 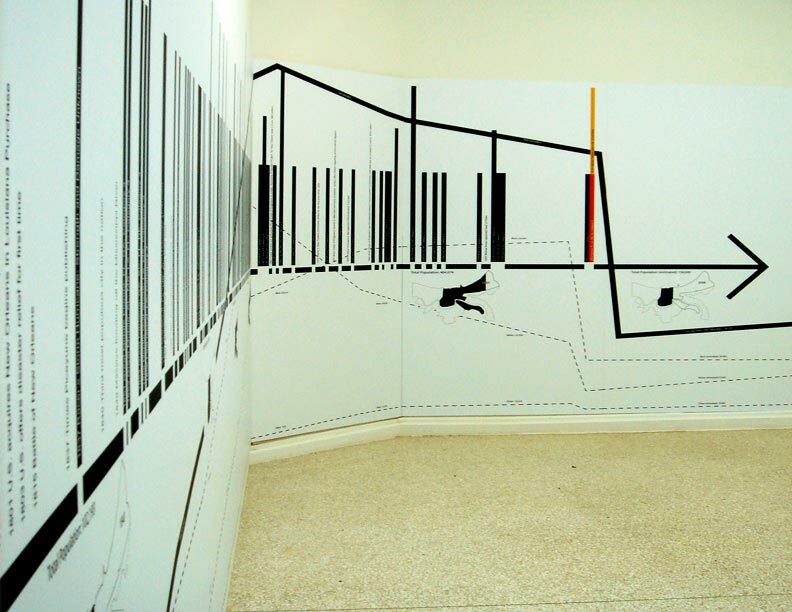 Client: Architectural Record & Peggy Guggenheim Foundation. 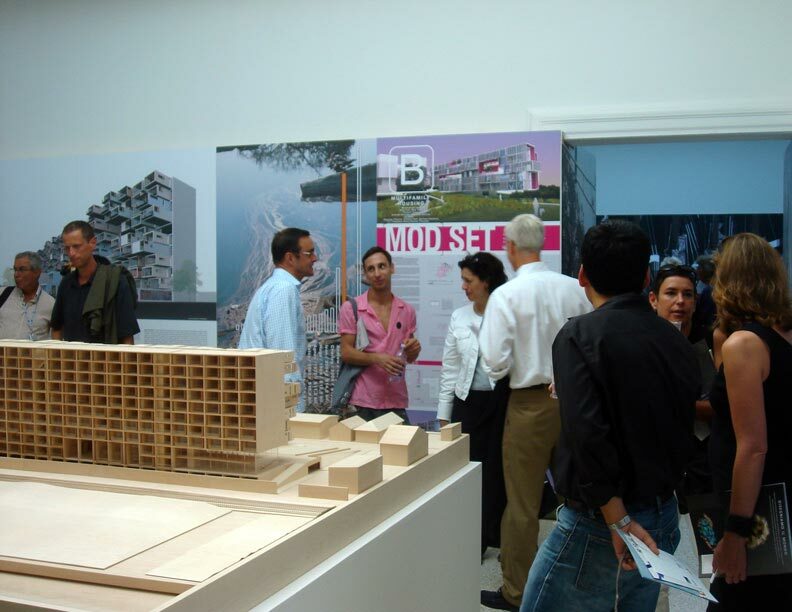 Size: 2000 M2 / 6000 SF. 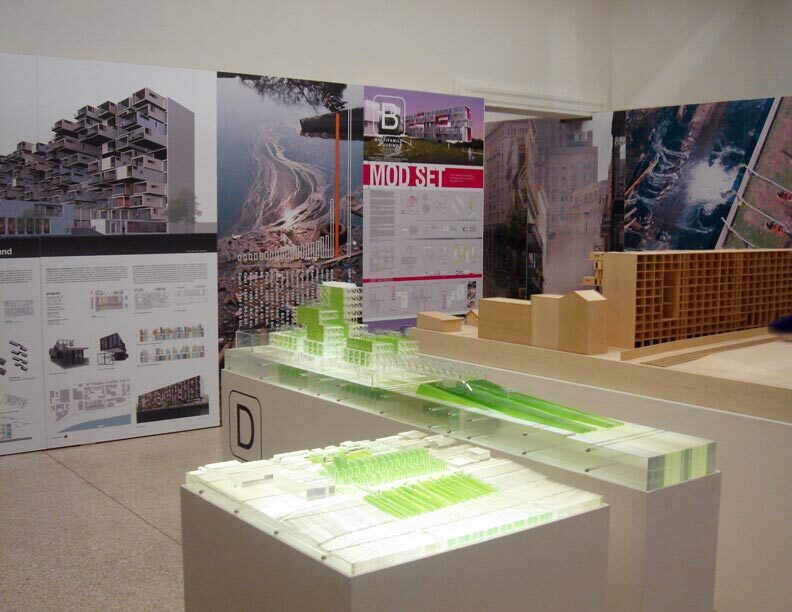 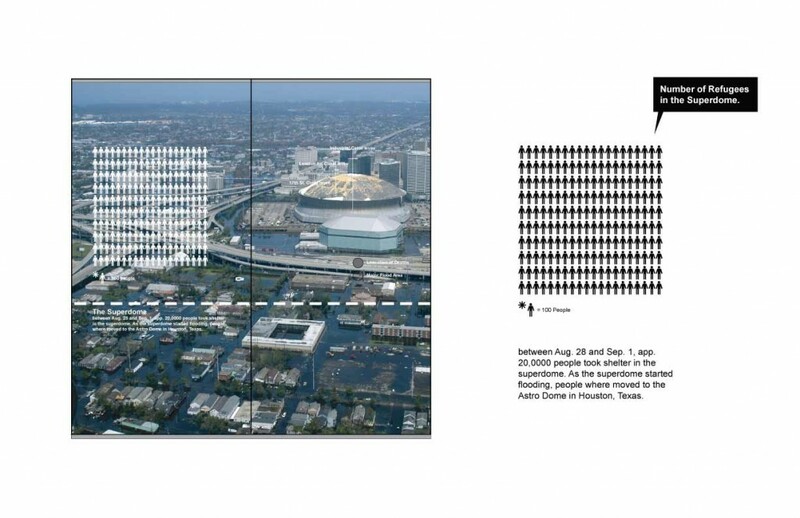 “After the Flood: Building on Higher Ground” offers a range of architectural responses to the devastation wrought by Hurricane Katrina in New Orleans and the Gulf Coast in August 2005. 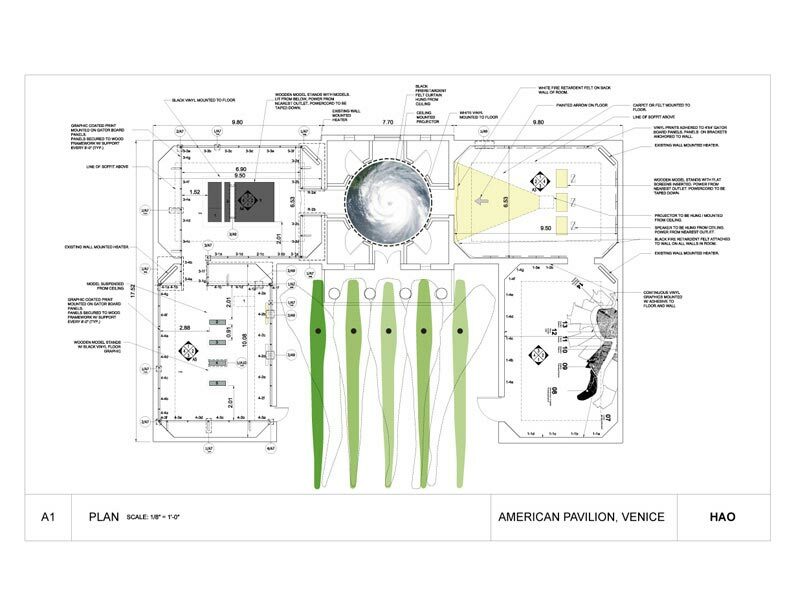 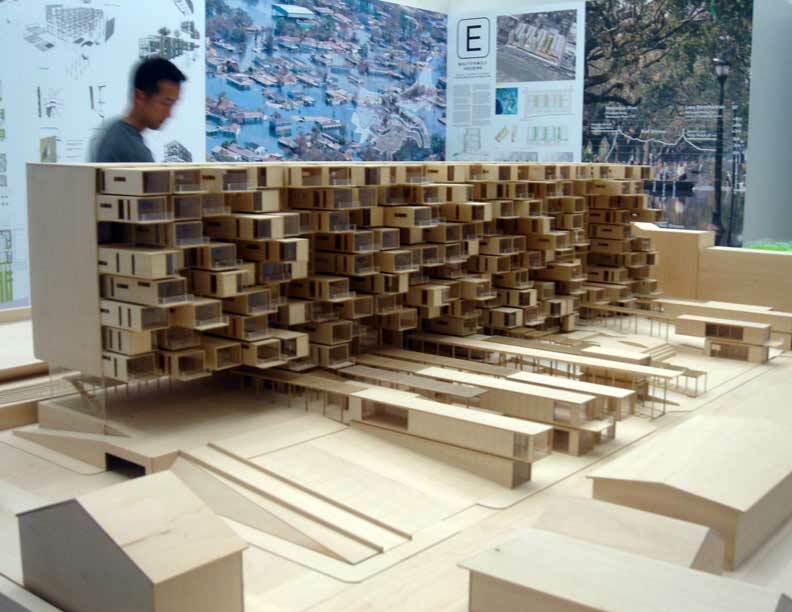 With a very limited budget HAO created the design and content for the American Pavilion at the 2006 Venice Biennale exhibition. 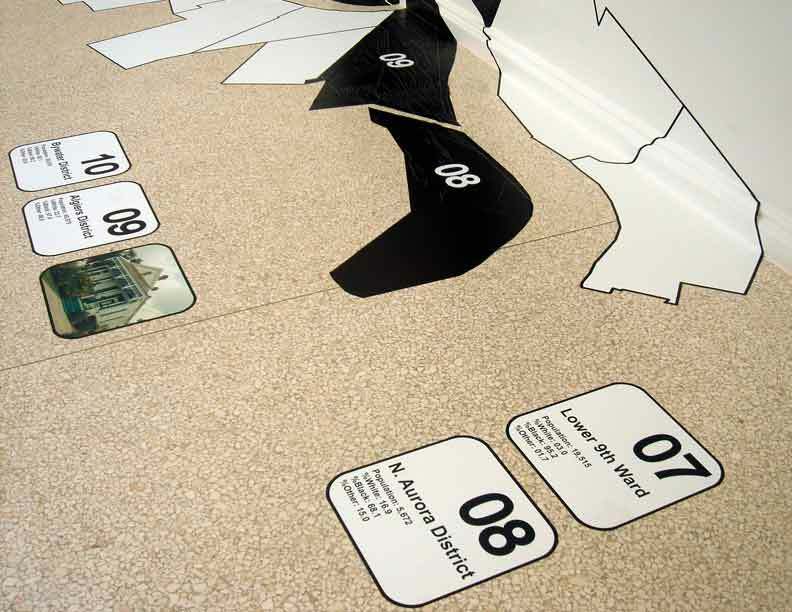 The exhibition arranges the existing American Pavilion into 6 specific areas that each deal with different aspects of the result of Hurricane Katrina’s path though New Orleans. 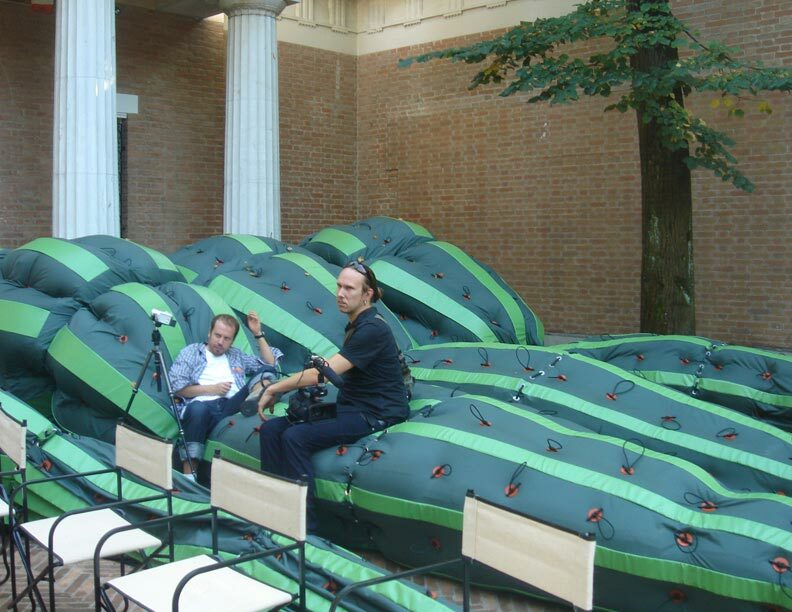 The pavilion courtyard shows an installation of inflatable pontoons that are meant as a future relief attempt to use in flooded areas. 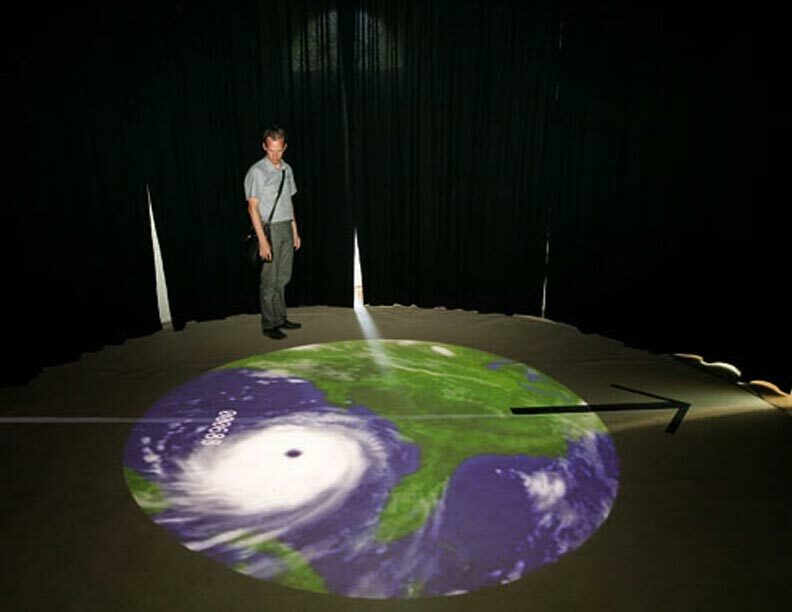 The interior of the pavilion from room 1 through 5 describes different aspects of New Orleans before and after the hurricane. 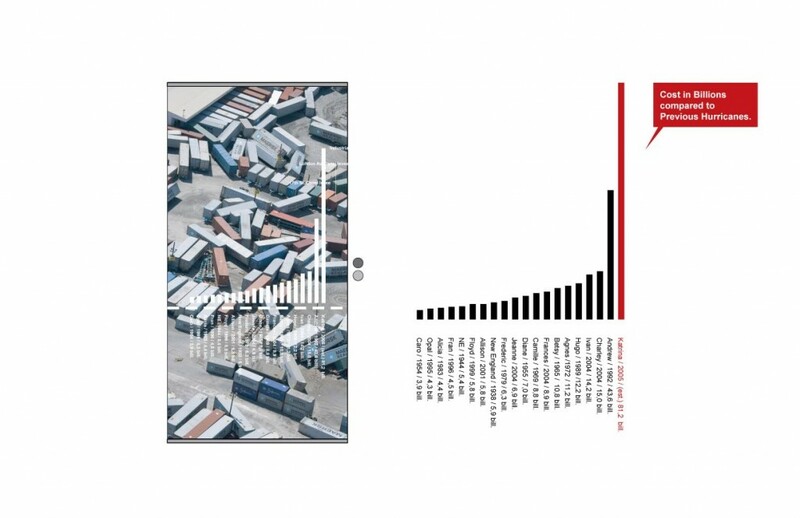 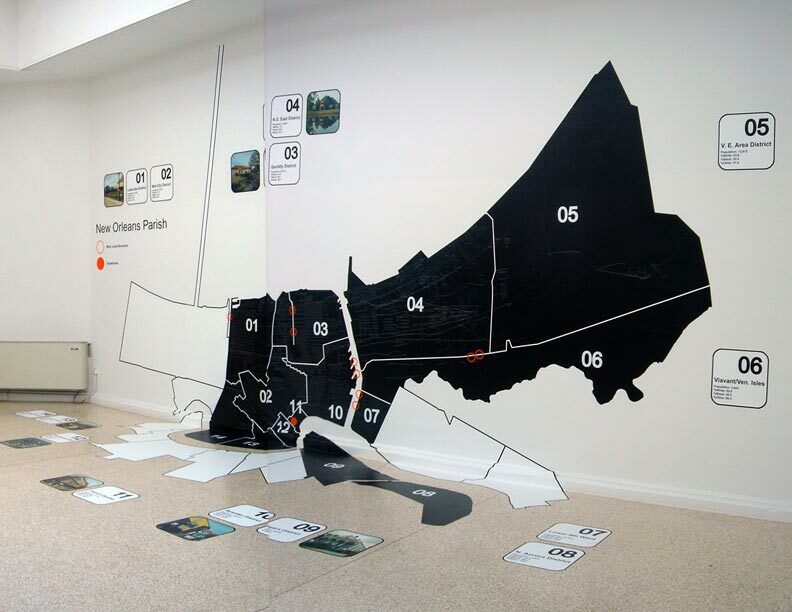 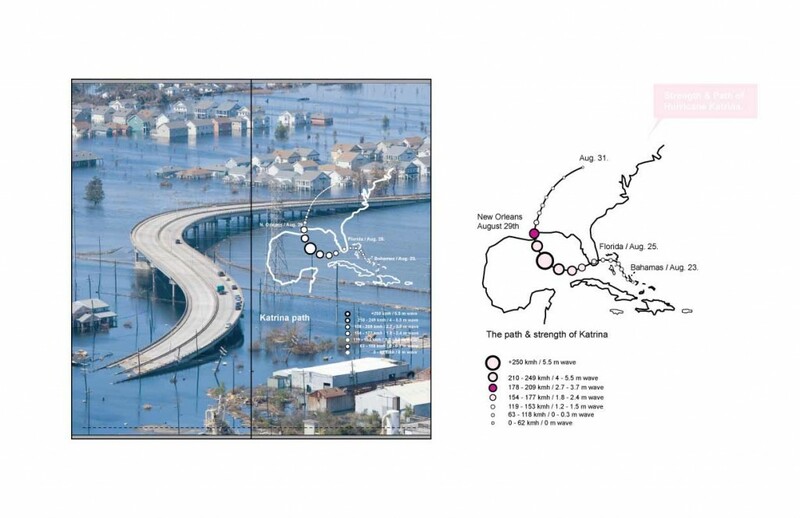 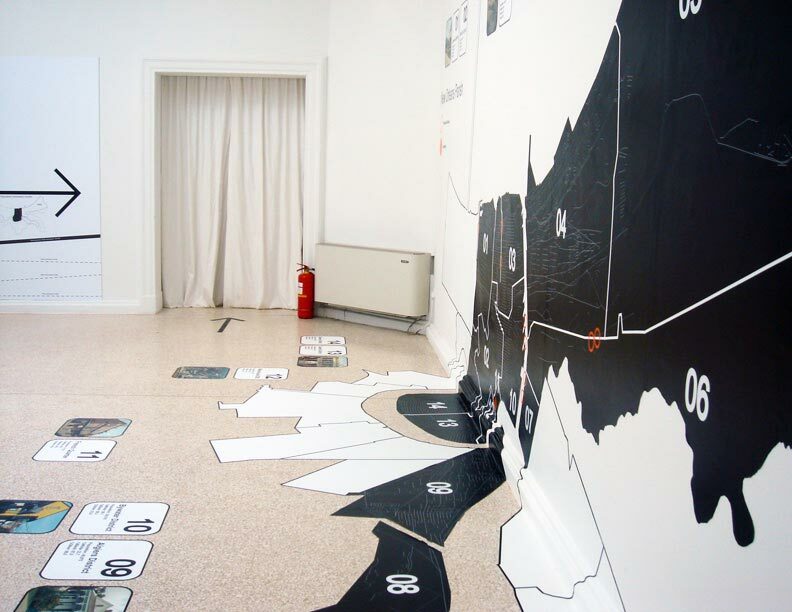 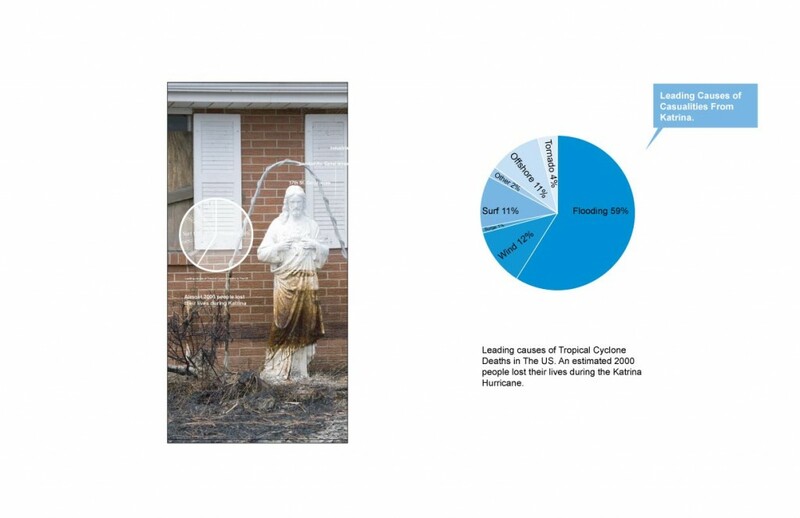 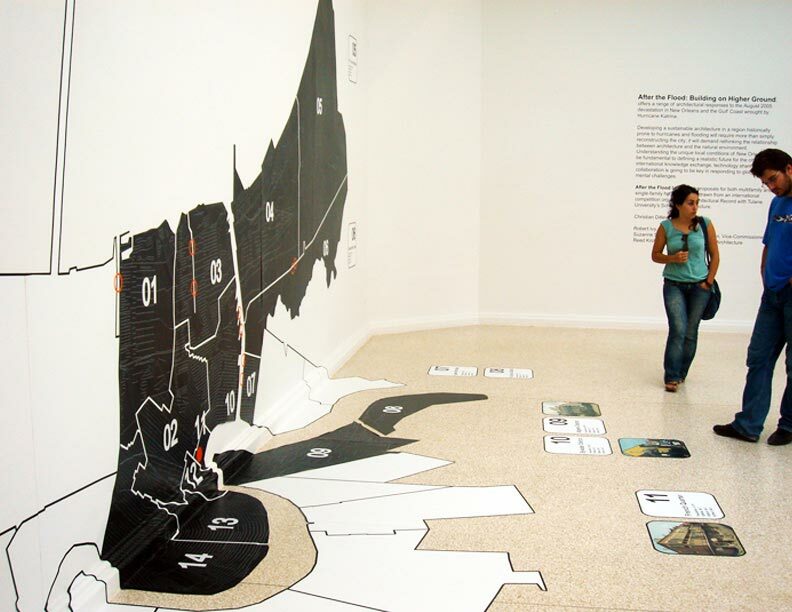 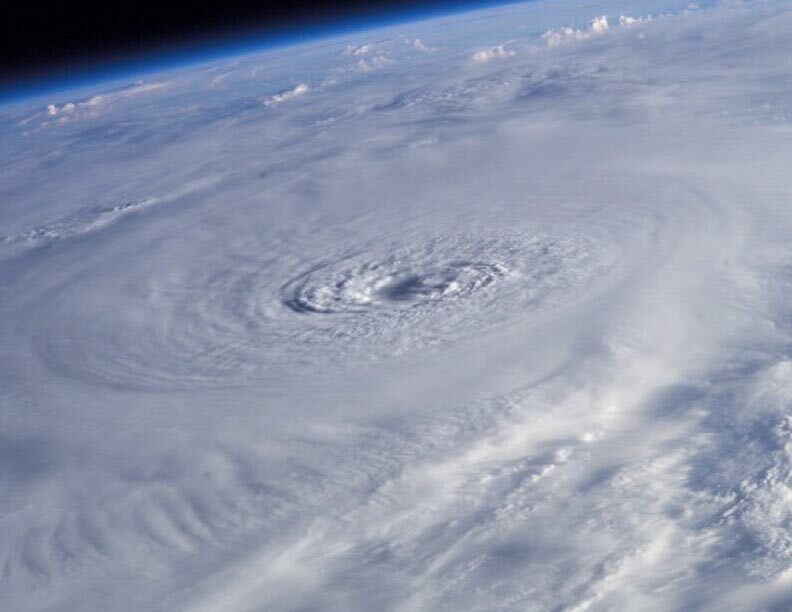 The design includes designing the exhibition layout, coordinating the content and the creation of a series of info-graphics that underline the story of Hurricane Katrina and its impact on New Orleans. 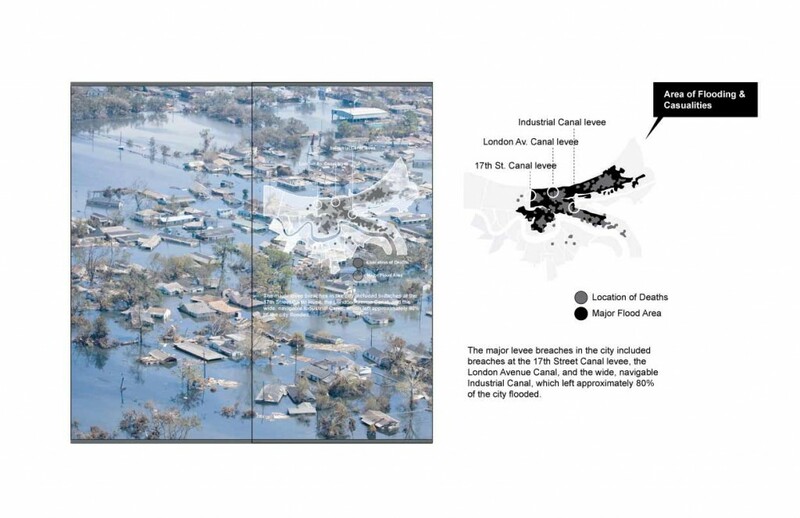 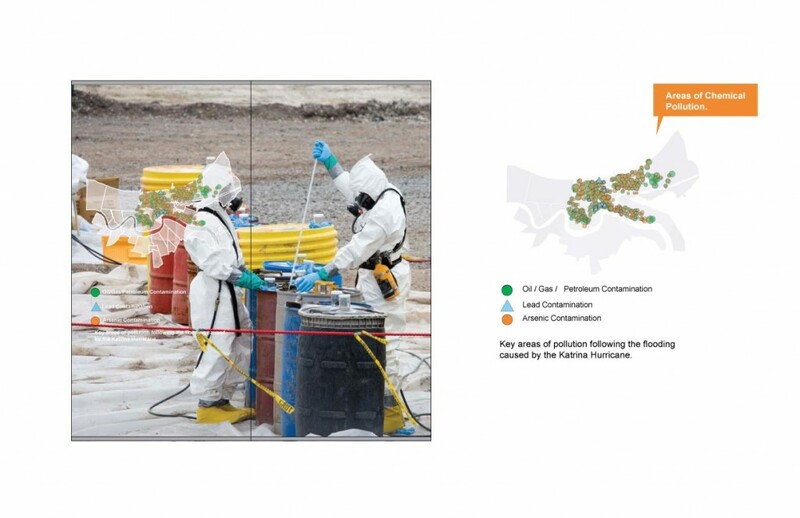 The info-graphics are printed on full size photo panels of the destruction left behind by the Hurricane and identifies different categories of the of the issues the city of New Orleans faces today.